Italy’s Prime Minister Giuseppe Conte, signed a memorandum of understanding (MoU) with Chinese President Xi Jinping in Rome, endorsing the global infrastructure-building scheme. As with previous MoUs, Saturday’s accords were wide-ranging, covering cooperation in the banking sector, a partnership between a Chinese construction company and Italian ports and the export of fruit from the Mediterannean country to China. The MoU is non-binding. But by opening the door to greater Sino-Italian cooperation, it threatens to deepen rifts between Rome and its traditional allies and within Italy’s fragmented coalition government. Luigi di Maio, Italy’s minister for economic development and one of the country’s two deputy prime ministers, told reporters after the signing that Rome’s goal was to “rebalance an imbalance” in Sino-Italian trade. “There is a lot of ‘Made in China’ coming into Italy and too little ‘Made in Italy’ that goes into China,” Di Maio said, adding that Italy now hopes for “a substantial and gradual increase of exports” to “balance out the trade imbalances”. Announced in 2013 as an ambitious plan to build a “belt” of overland corridors and a “road” of maritime shipping lanes spanning Asia, the Middle East, Africa and Europe, the BRI has evolved to encompass other regions, as well as digital infrastructure and even cultural exchanges. Also known as “The New Silk Road”, it promises to strengthen China’s trade and investment links with the rest of the world and cement its position as a major global economic power. BRI projects are financed by Chinese state-owned enterprises that offer participating countries inexpensive loans and credit. Analysts at Morgan Stanley predict China’s investments in BRI countries could reach $1.3 trillion by 2027. The scheme has drawn fire from critics who accuse Beijing of engaging in so-called “debt-trap diplomacy” and potentially masking military endeavours as commercial enterprises. In 2017, Sri Lanka handed Beijing control of a strategic port after it couldn’t pay off its Chinese creditors. The spectre of unsustainable debt burdens has since prompted some countries to delay, scale back and cancel BRI projects. Italy’s decision to defy the recent backlash and join the BRI comes at a time when the potential to boost Italian exports to China and pump money into crumbling Italian infrastructure is an especially alluring proposition. “Italy needs investment and resources and China has those to provide,” said Erik Jones, professor of European studies and international political economy at Johns Hopkins University’s Bologna-based School of Advanced International Studies. “Italy also needs to underpin and strengthen its business ties with China [and] this agreement will help there,” he said. Italy is the thirteenth European Union country to sign a memorandum of understanding with China. But it is the first G7 member to do so, throwing the cohesion of the G7 into question. 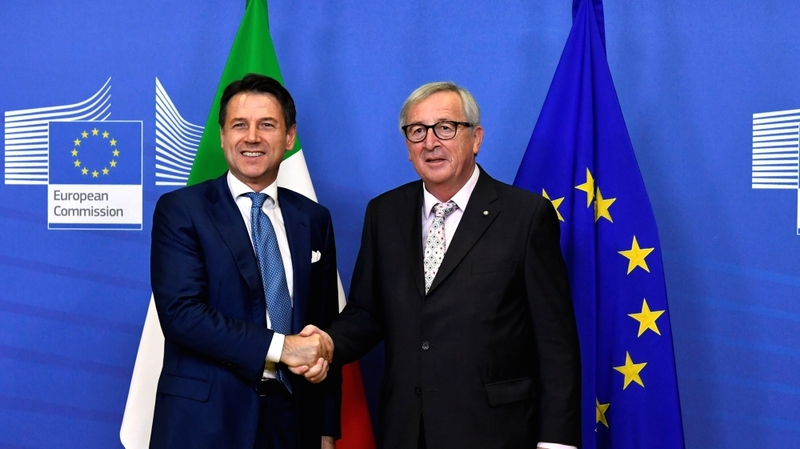 The landmark move is also a bold statement to Brussels, which engaged in an acrimonious budget battle with Rome last year that forced Italy to pare back its spending plans. Brussels and Rome have also butted heads over immigration. “Italy has issues where it is not happy with the EU and the EU is not happy with it, and the only way out of this conundrum is for [Italy] to expand their trade,” Einar Tangen, a political and economic affairs commentator, told Al Jazeera. “Being part of the Belt and Road Initiative would give them a little bit more independence and obviously offer more trade,” he said. Brussels has held a tougher position against the BRI since reports first surfaced of Italy’s plans to join the scheme. The European Commission and the EU’s diplomatic arm released a paper last week that branded China a “systemic rival” and threatened to tighten regulations on Chinese investment in Europe. The paper also included a pledge that EU member states would push for a common approach to 5G security risks in response to concerns raised by the US over Chinese tech giant Huawei. Some analysts also see Italy’s embrace of the BRI as a symbolic gesture of independence ahead of the European Parliament elections this May. But joining the BRI could further exacerbate tensions between the two main parties in Italy’s coalition government. Conte’s anti-establishment Five Star Movement has championed stronger ties with China, while its main coalition partner, the Eurosceptic, far-right League, is seeking to maintain good relations with the US, which is embroiled in an ongoing trade war with Beijing. The US and China are also in an escalating dispute over Huawei, whose products the US claims pose a risk to national security. On Tuesday, Conte appeared to try and assuage Washington, telling Italy’s parliament that any commercial and economic deals with China “do not remotely put into doubt our Euro-Atlantic alliance”.